The road to success for Gold Coast five piece IVEY has been one littered with many achievements. Since landing a spot on Triple J Unearthed’s ‘Distinguished Achievers’ list for 2015, the then-teenage group were quick to release their debut EP Cascade. The success of the EP and the support IVEY received on Triple J established the band as one to watch, and it wasn’t long before they were supporting the likes of Confidence Man and Ocean Alley, as well as showcasing during ARIA Week events in 2016 and landing a lucrative spot as a ‘Discover Artist’ on Channel V. Through this string of early successes, IVEY have flourished as a live unit, becoming a beloved touring band that has been quick to join Queensland’s fine league of indie pop musicians. 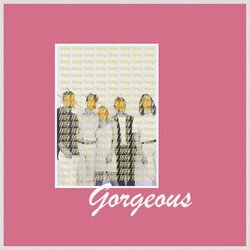 Now, the band returns with some of their finest new music yet, in sophomore EP GORGEOUS. Upbeat indie pop at it's best. Stuck brings lead singer Millie's vibrant vocals to the front and showcases the young bands songwriting prowess. Dancing is undeniable.